This place has been around for quite some time but never really got around to trying it 'til yesterday. I'm more of a rice person, bread doesn't cut it for me. So anyway, we ordered the hamburger, fries, a drink and one american cheesesteak sandwich. Our bill amounted to almost p700. Highway robbery? The fries are good. Real potatoes, crispy on the outside, soft on the inside and served in a brown paper bag. Don't order the burger. It is expensive at P200 for a single patty with no cheese. 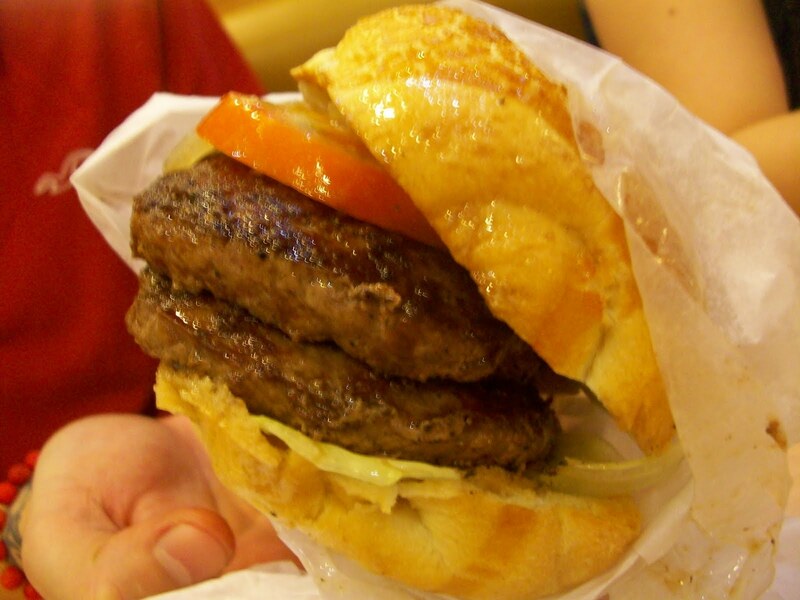 Add P80 for a double patty burger like this one and an additional P30 for cheese. That would ring you up a grand total of P310 for one tasteless, dry and tough sorry excuse for a burger. Save your money for Chili's where the burgers are always great and served with fries. 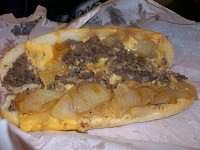 And this is their legendary cheesesteak sandwich. The namesake of the restaurant. I personally liked it but my husband said it was lacking something but couldn't pinpoint what. The beef was tender, cooked perfectly I would say. And the beef and cheese combo was a winner. The bread had just the right amount of crisp and softness to it and was able to hold it's shape despite the weight. It's a bit small though, and pricey as well. An 8 inch sandwich like this one will set you back a whopping P320 for the sandwich alone. 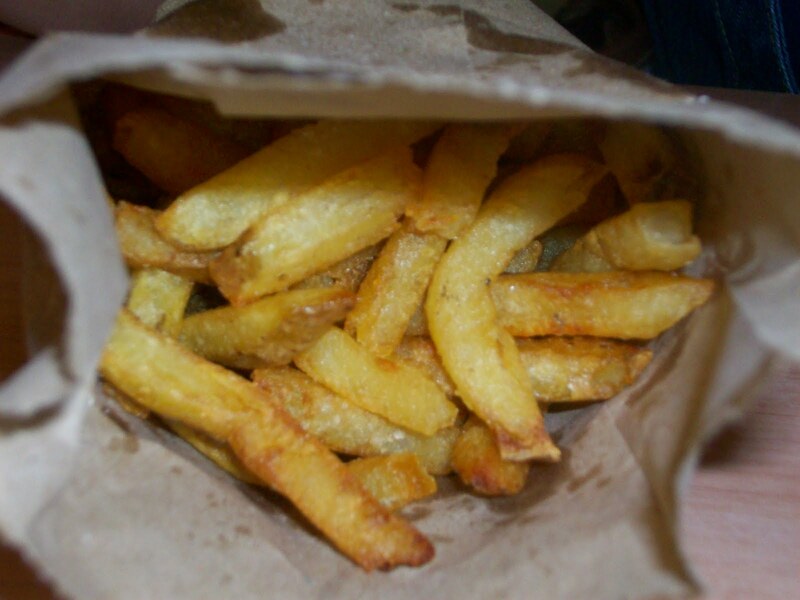 If you want fries and a drink to go with it, you have to add P80. Which I think is necessary as I don't think that the sandwich alone will be enough to fill your tank up. My final verdict: This place is overpriced but if you have a few extra bucks to spare, try the steak sandwiches, but always with cheese in them.